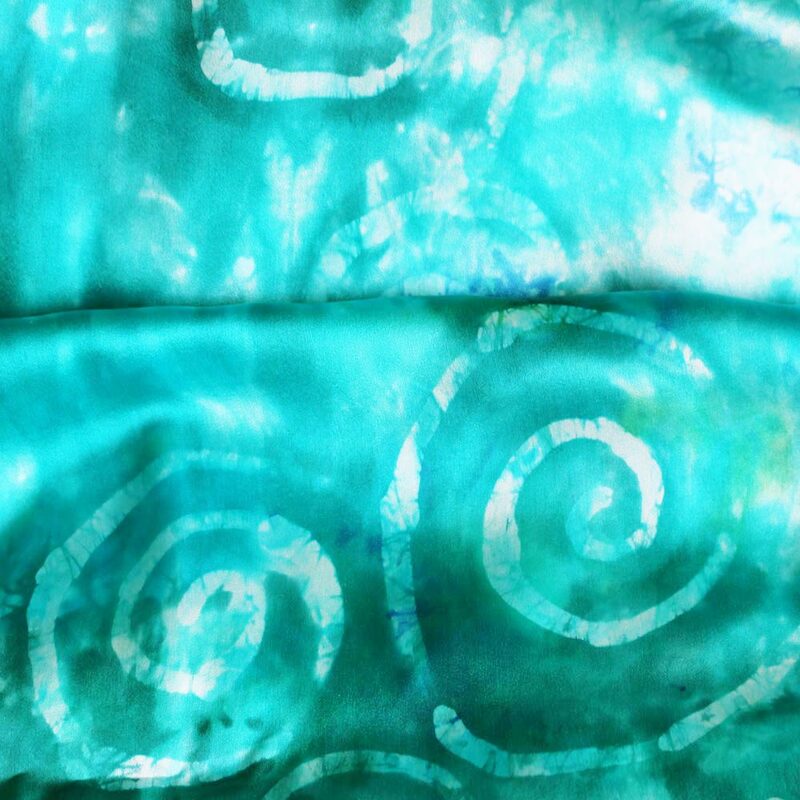 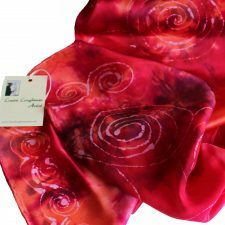 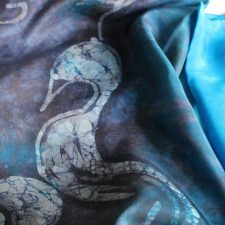 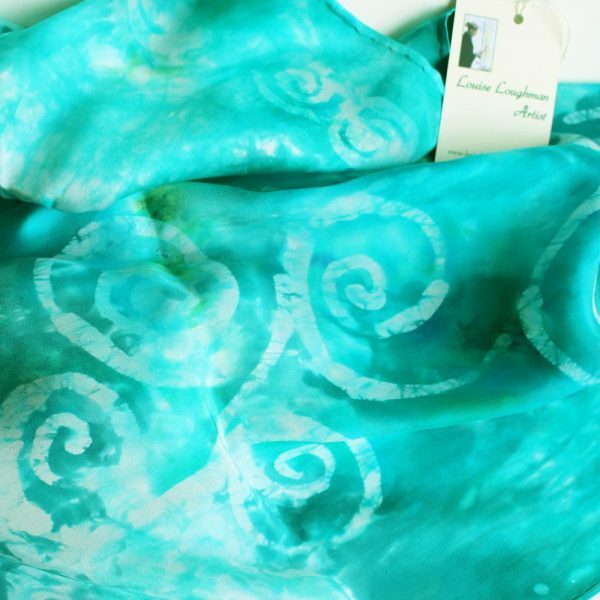 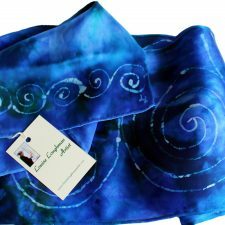 This is fabulous silk satin scarf with a Celtic spiral design and amazing teal colours. 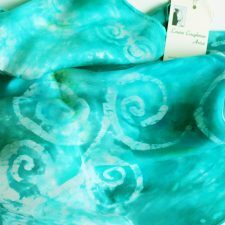 The colour of this beautiful scarf is a variety of teal tones with a smattering of green. 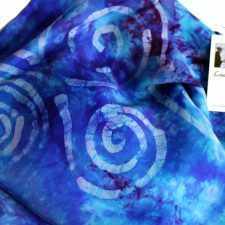 The design of the Celtic spirals are more towards one end of the scarf and also border the other end.